Cole Beauchamp is the greatest pistoleer of all time; he's also thoroughly unpleasant and has a habit of scaring away his assistants. 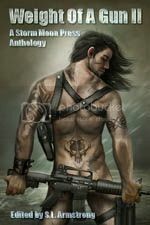 But when he is sought out by a devotee with a love of guns that matches his own, Cole finds a new respect for Benjamin Pepperwhistle and the Fantabulous Circus of Wonders. William Hunt is hot on the trail of lover-turned-outlaw James Campbell. But when William finally catches up with James, bringing him to justice is the last thing on his mind. Lieutenant Edward Moon has been chasing the infamous Captain O'Shea for longer than he can remember. 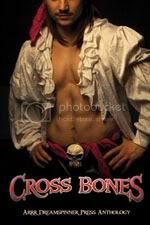 When he falls into the pirate's hands, however, things take a turn he'd never imagined. Edward finds himself torn between his duty and a dangerous loyalty to O'Shea. When the captain faces the gallows, Edward must take the hardest decision of his life-but will it be worth the price? Meet Liam, a half-fox in a world where 'urban jungle' isn't a metaphor. 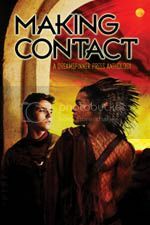 When trouble comes in the form of an organized militia looking to experiment, Liam must put his trust where he never expected: in the hands of a human. The already strained relationship between Holmes and Watson tumbles toward disaster when Holmes is called to investigate a string of very peculiar murders. Watson falls under the charms of an extravagant European professor and his revolutionary experiments. Are Holmes' attempts at sabotage related to the case, or fruits of jealousy? The detective and the doctor must repair their relationship before they're driven apart for good - and, when the murderer crosses their path, they must also find a way to survive. It’s a nondescript, depressing night when Morgan, a seasoned cop, finds a witty stranger perched on his windowsill who shares his appreciation for the blues. 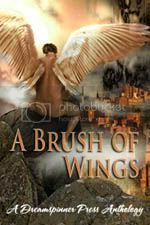 Worried for his own sanity, Morgan mostly ignores the man who insists on materializing at the most inappropriate of times… until a life-threatening experience forces Morgan to see just how much the stranger who claims to be an angel means to him.